Hello and welcome to the 10th installment of the SWD. TFSA backed by Turkish forces made sizeable gains in the city of Al-Bab today. Advances were made to the northeast and east of Sheikh Aqil, notable localities captured include; cultural center, post office, Nasr roundabout, etc. 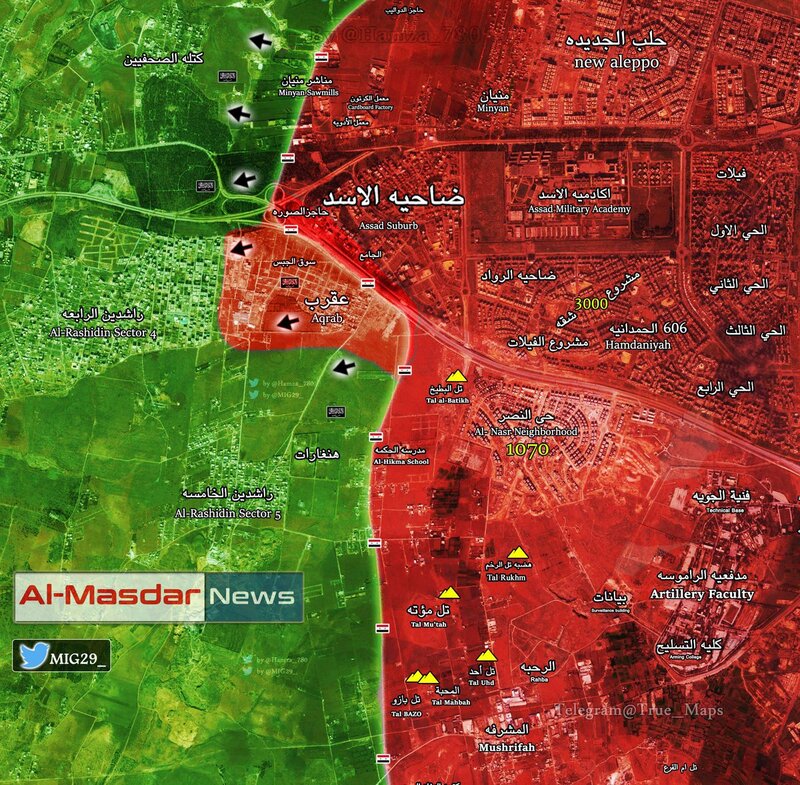 The real push to capture Al-Bab seems to have started with city being besieged from 3 sides. It appears that TFSA gave up on Qabasin and Bzaah for now as IS defended them valiantly, taking them will be easier once Al-Bab is done. Some negative news for TFSA also surfaced, IS detonated SVBIED at Zamzam roundabout, first one after a longer period of days. Usage of VBIEDs shows that situation for IS is getting dire in Al-Bab after over 3 months of fighting in the city. As TFSA starts advancing in more urban parts of Al-Bab, more suicide attacks are expected to take place in order to slow down advances and cause attackers to retreat from some areas. SAA Tiger Forces continued their advance against IS in the eastern Aleppo countryside and took control of Al-Mazyoura village, just north of Tabaret Madi Al-Maazeh which was captured yesterday. Bigger news regarding SAA in Aleppo is opening of western and southwestern fronts, it seems that SAA will try to secure city’s surroundings and prevent rebels from constantly shelling neighborhoods located near the frontline. 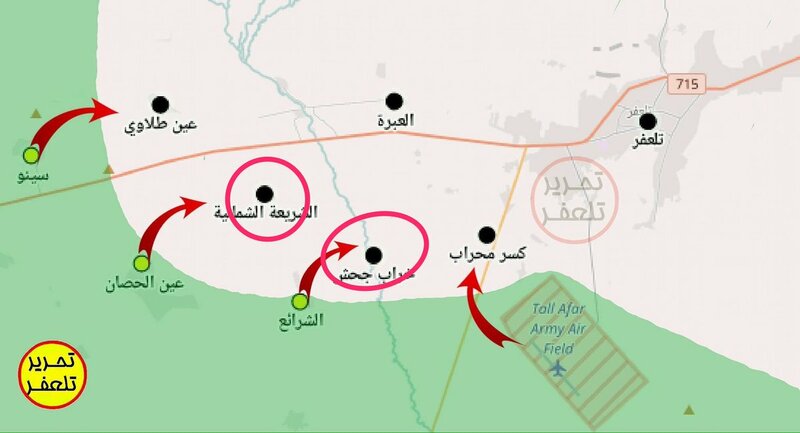 Situation in Souq al-Jibs / Aqrab is still a bit murky, with pro-government sources claiming it was captured today and with pro-rebel sources claiming that the attack by SAA was repelled. Shelling is also reported on Rashidin 4-5 and military research center fronts. 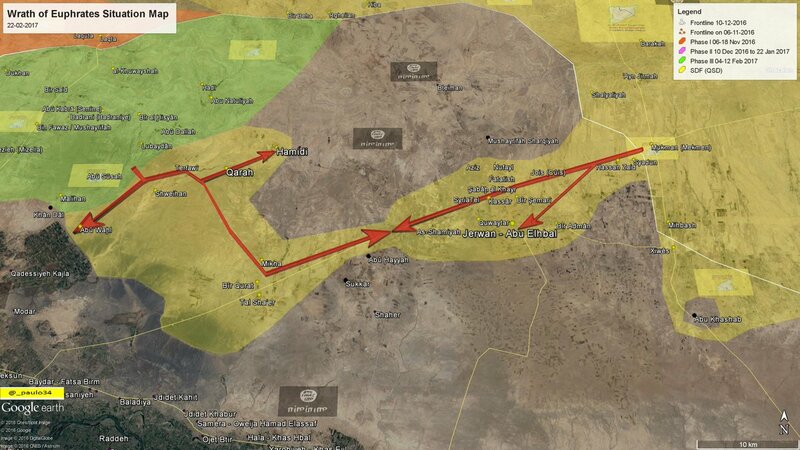 After today’s advances SDF forces from Mukmin and Bir Hiba fronts linked up and made an IS pocket, some villages captured today are; Jarwan, Qarah and Hamidi. 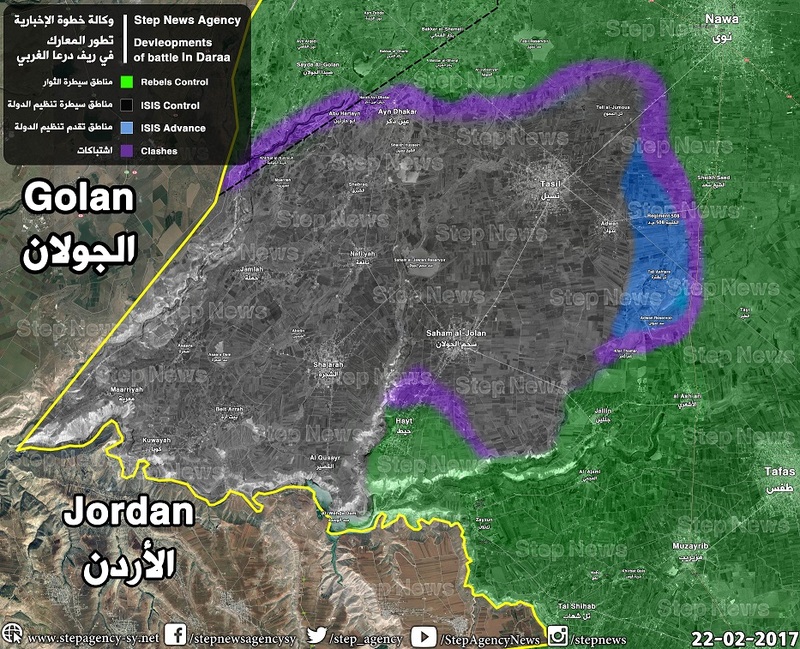 Rebels failed in their latest attempt to reverse gains made by JKW in the last few days and even managed to lose some areas, such as; Tel Ashtara, Adwan reservoir and 508th regiment. To fend off JKW, rebels may be forced to abort their current operation against government, which has so far resulted in minimal advances and rather high casualties. No new advances were reported today by Iraqi army on western Mosul front, but PMU launched assault against IS to clear villages around Tal Afar west of Mosul, liberating Kharaba Al-Jahash, Shariaa Shamilyia and Ain Talawi. On the 21st of February 2017 CJTF-OIR has conducted 17 strikes in Syria. CJTF-OIR‘s main focus in Syria at the moment is still Raqqa where they did 7 strikes supporting SDF‘s operation against IS destroying three fighting positions, a vehicle bomb, a garage, an improvised explosive device and a weapons facility; and damaged a bridge. Other areas where strikes occurred include Al-Bab, Deir al-Zour and Palmyra destroying four IS-held buildings,six oil wellheads and 26 oil tanker trucks, respectively. Full report on CJTF-OIR strikes conducted in both Syria & Iraq can be found here.